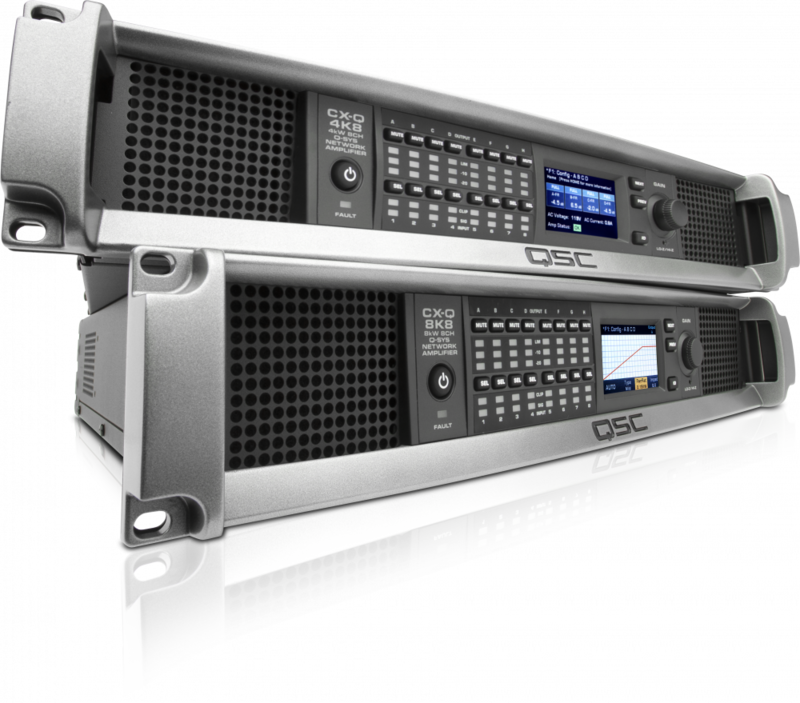 QSC introduced its new CX-Q Series amplifiers, featuring four and eight channel models. QSC announced new network power amplifiers for the Q-SYS Ecosystem. The CX-Q Series amplifiers feature four- and eight-channel models that combine the QSC legacy of high-performance and reliable amplifier design with the native network transport, control and monitoring capabilities of the Q-SYS Ecosystem.